Cocktail confectionery brand Smith & Sinclair is staging a pop-up in London's Sanderson Hotel's Purple Bar. Opening on 18 November and running until 24 December, the bar aims to transport guests from the monotony of the city to a world 'where anything is possible'. 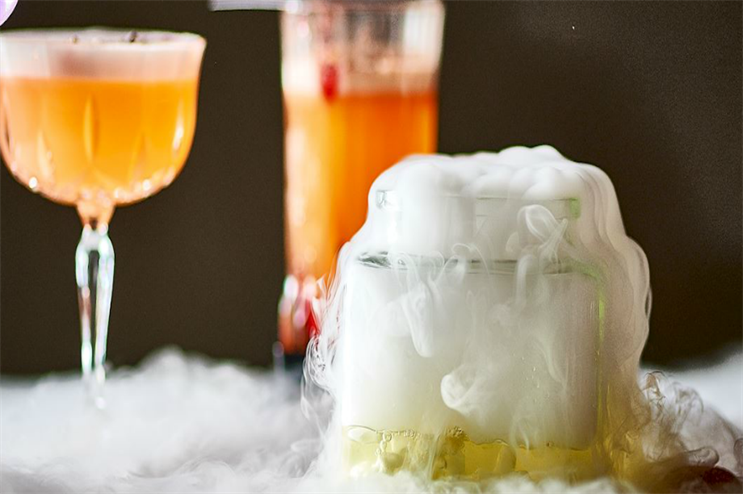 With a variety of alcoholic concoctions along with an emporium of alcoholic edibles on offer, guests are invited to eat, drink and shop at Sanderson in a never-seen-before way. They will have the opportunity to ‘play’ with cocktails, ‘eat your drink’ and take the drinking adventure to new heights. Experiences will include drinking liquids that change in both flavour and colour whilst being served and consumed, scented lollipops that come complete with alcoholic dib dabs, and festive-infused vapours to immediately transport inhalers to a festive time and place. Smith & Sinclair will also be staging a shop, The Flavour Room, located directly next door to Purple Bar within Sanderson. The pop-up shop will be offering a variety of packaged Smith & Sinclair goodies to take away and enjoy at home. In October, Relais and Chateaux teamed up with culinary specialists Bompas and Parr to create an immersive art installation in London, celebrating the joy of bees. Yelp hosted its first Future of Food Festival earlier this year, which matched some of London's most innovative food players with their equally inventive techy counterparts.